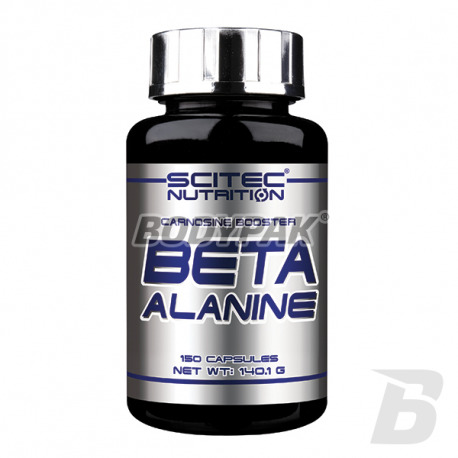 Beta-AlanineScitec Beta Alanine - 150 kaps. Olimp Beta-alanine Carno Rush Mega Tabs - 80 tabl. Dietary supplement targeted to those sports endurance-strength, power and endurance, which require high physical performance maintained for a long period of time and / or high frequency training. It increases muscle strength and endurance for both aerobic endurance, as well as anaerobic. High quality Beta Alanine capsules for convenient supplementation. 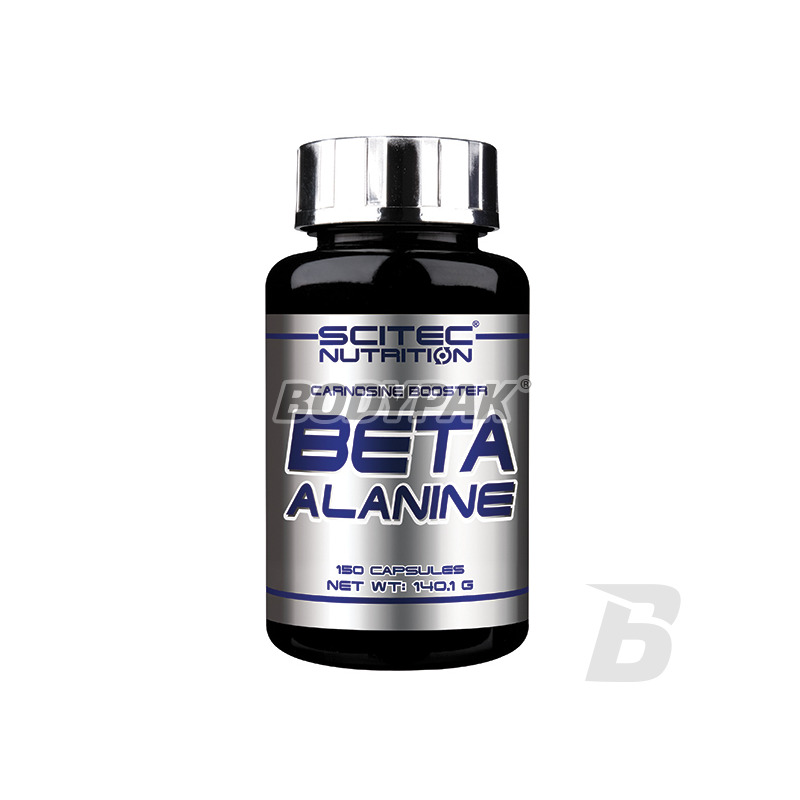 Scitec Beta Alanine - 150 kaps. A high quality product designed to maximize the delay fatigue. Thanks to the high purity beta alanine increase the durability and performance in training and will improve regeneration immediately after it. Beta Alanine is a non-essential amino acid used by skeletal muscle to synthesize Carnosine. Carnosine is found in high levels in skeletal muscle, it is preferably located within the muscle fibers of two types. Increasing muscle Carnosine by Beta Alanine meets the growing popularity among educated bodybuilders and athletes. Our formula Beta Alanine does not cause weight gain or flatulence contains no stimulants, and banned substances! Bardzo dobra Beta-Alanina :) Spełnia swoje wymagania, 15min po spożyciu już odczuwalne pobudzenie i bardzo mocne mrowienie. Super produkt, polecam ! Uwielbiam to uczucie mrowienia po beta alaninie! I faktycznie zwiększa wytrzymałość i wydajność na treningu! Increase your muscle carnosine stores to be able to train longer and harder! Improving athletic performance shortly after the start of supplementation. It supports the body during intensive and long lasting fizycznych.Wystarczy try this supplement! Breakthrough product on the market supplements for keeping your workouts will come to the next level and gain in muscle mass will be much faster than ever before. Pure beta-alanine with added vitamins. Beta Alanine Xplode Powder - Xplode ™ is a series of supplements based solely on an absolutely innovative products, designed for those with uncompromising demands. Trec Carnogenic 1175 - 120 kaps. High-quality pre-training preparation of precursors of carnosine and nitric oxide (NO). A solid dose of beta-alanine, L-histidine, citrulline malate and arginine malate in capsule form!